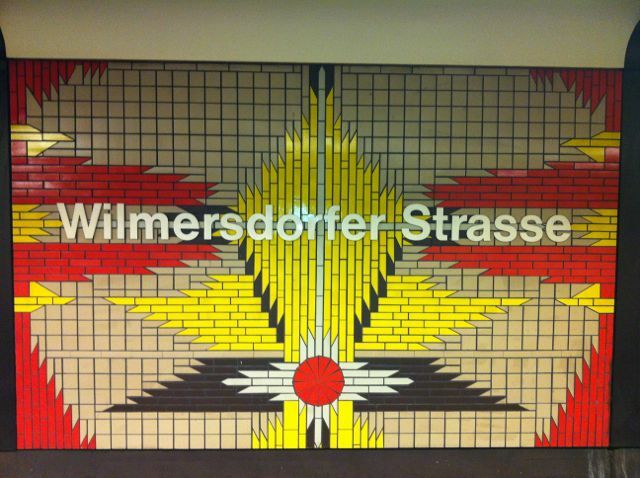 On February 2, my cousin V. from Cologne arrives at 8 a.m. the morning at Tegel airport. 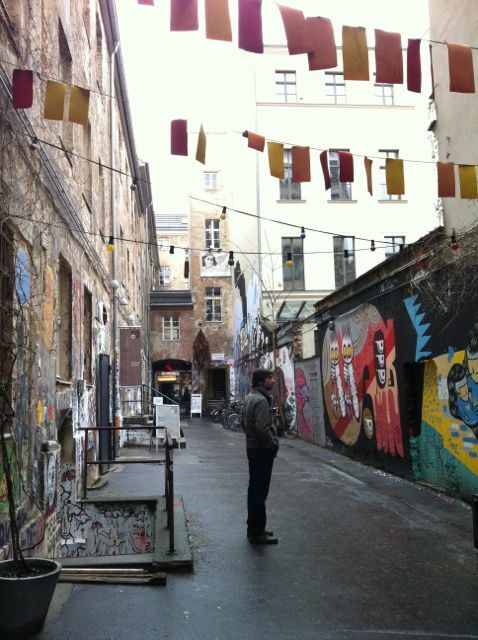 I pick him up and we drop off his suitcase, then head out to Bonanza Coffee Heroes for great coffee and one of the best croissants we’ve ever had, then to Hackescher Markt to walk around. 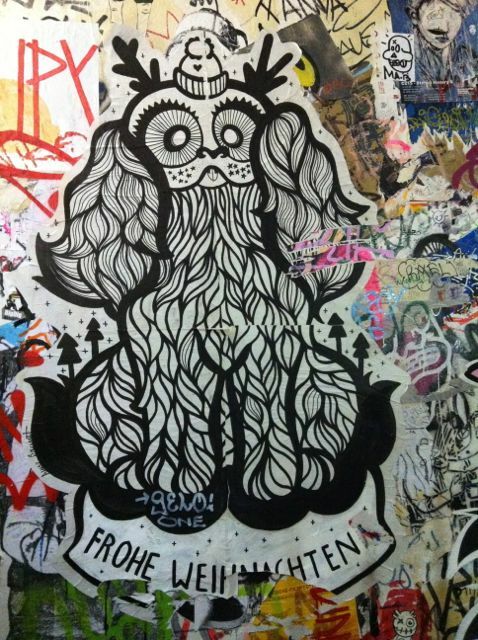 We saw a cool Berlin street band, Rupert’s Kitchen Orchestra. They played high energy funk music, on a traffic island in the middle of the road, just like you see in the above video. Very infectious. But I was dragging by then, exhausted from having to get up at 7 a.m., and had to go home to lie down for two hours, so I left my cousin alone for a while. Then we had coffee and cake at Nina’s in the afternoon. We also got a tour of her neighbour’s great apartment with ceiling ornaments that he is having restored and painted. Then we met my teenage friends E., M. and L. (not related to my cousin) for Tibetan dinner on Mehringdamm, which was great. 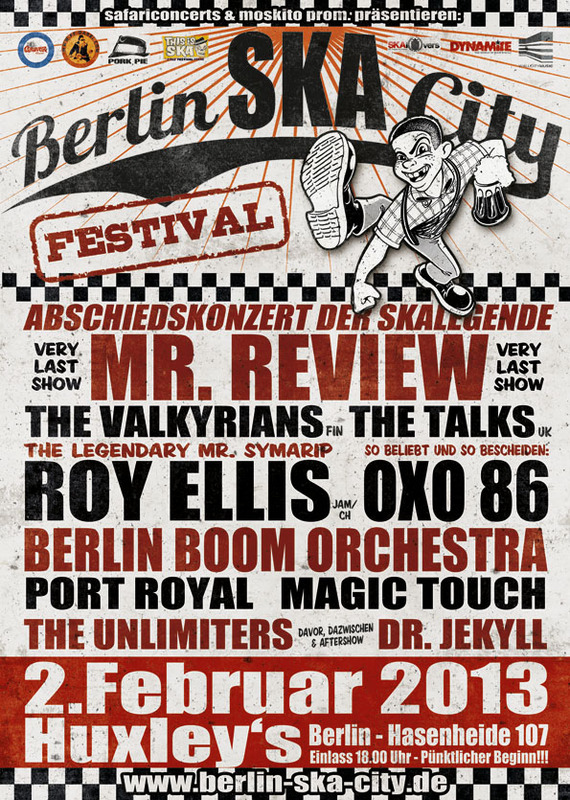 After that V. and I went to the Berlin Ska City Festival from 9 pm until about 12:30 am. 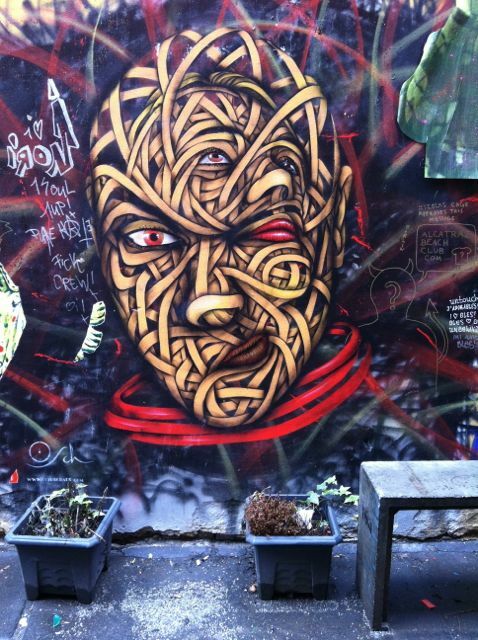 Graffiti in a courtyard near Hackesche Höfe. 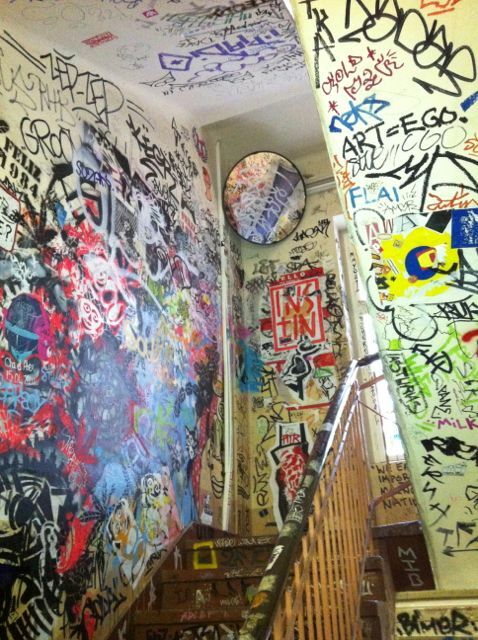 Graffiti in a stairway near Hackesche Höfe. 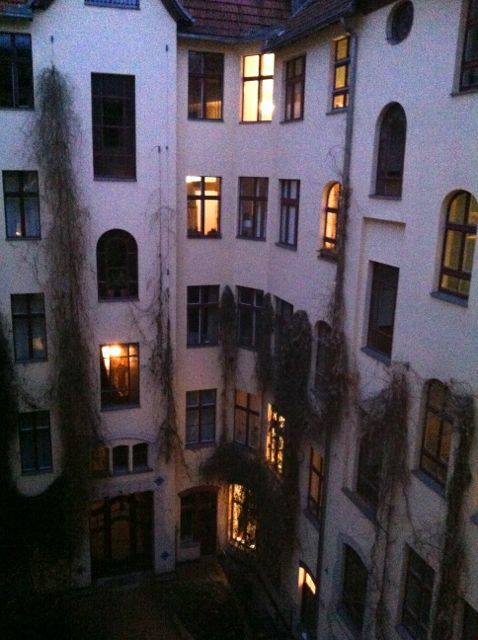 Typical Berlin courtyard, art nouveau building in Charlottenburg. 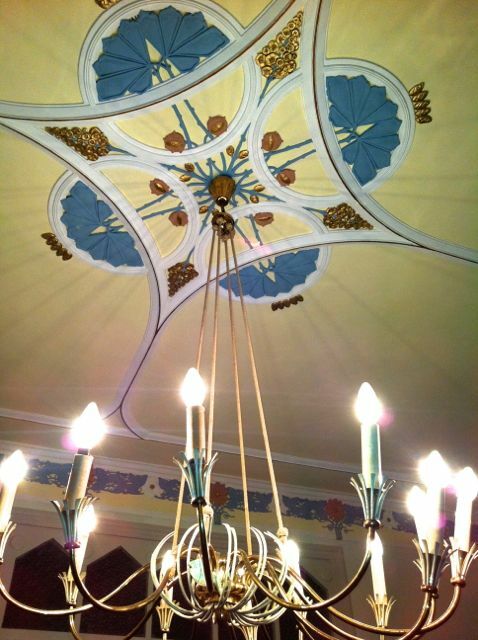 Art nouveau ceiling ornaments being refurbished in a Berlin Charlottenburg art nouveau apartment. 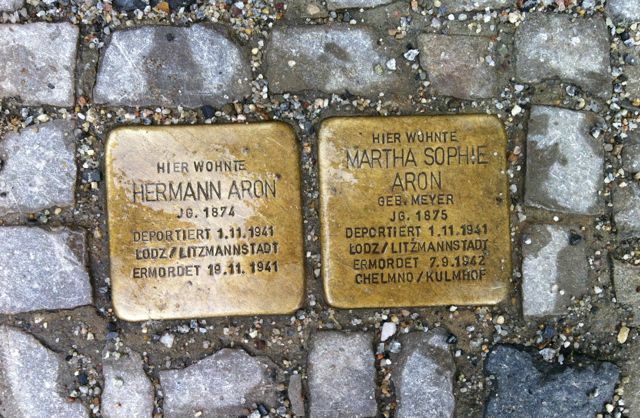 Berlin Stolpersteine — these brass pavement plaques replace regular cobblestones. They carry the names of Jewish people who lived in the building near them and were murdered or died by suicide as a result of persecution by the Nazis. The stones are controversial with some Jewish and some non-Jewish people. The question is always how to create an appropriate reminder of the atrocities that respects the dignity of the victims and their families. 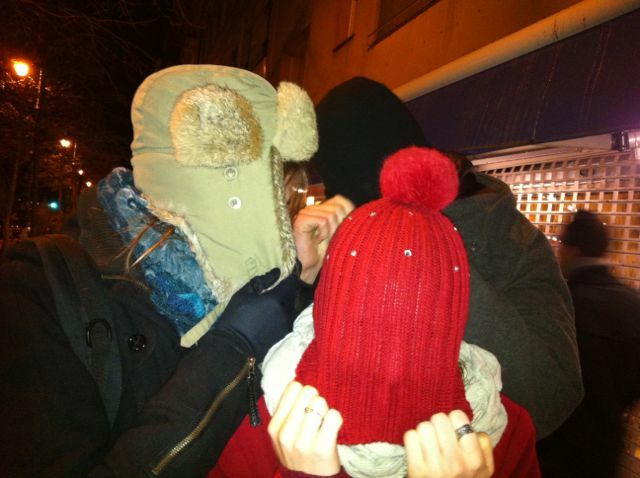 My favourite teenagers, E. and M. with E.’s boyfriend L., come to visit me in Berlin! 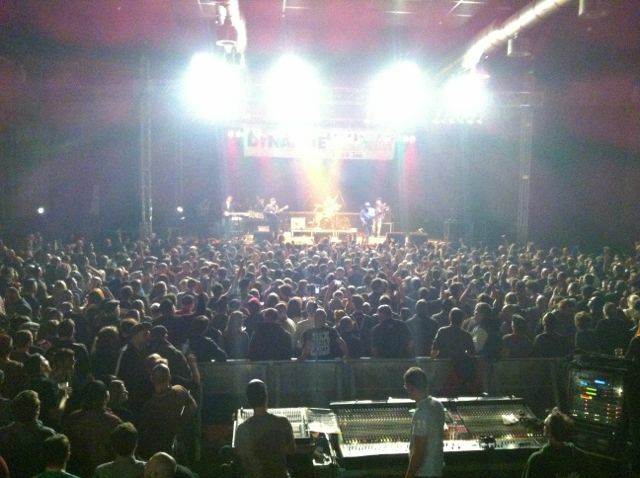 At the Berlin Ska Festival with my cousin V.